Calling it the biggest leap since the original iPhone, Apple co-founder Steve Jobs introduced the new iPhone on Monday, complete with an all-new, thinner design, camera flash, front-facing camera, a second noise-canceling microphone, and a gyroscope for six-axis motion sensing. The new hardware arrives on June 24, while preorders begin on June 15. It is available in the same prices and capacities as last year's model: $199 for 16GB, and $299 for 32GB. 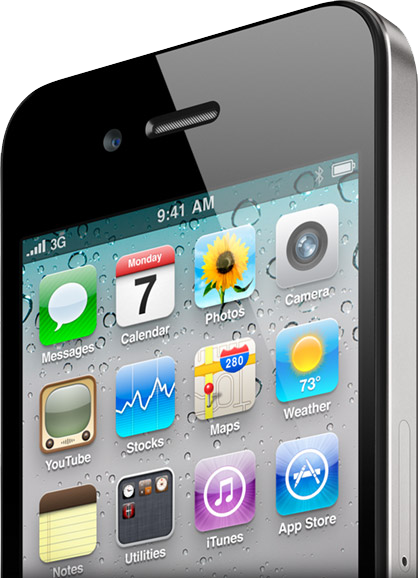 The iPhone 3GS will be available for $99. The hardware is available in both black and white. 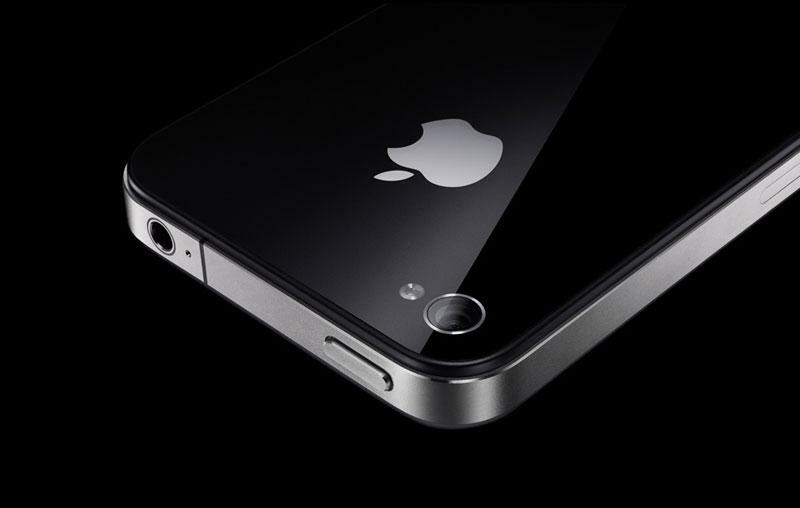 "iPhone 4 is the biggest leap since the original iPhone," Jobs said. "FaceTime video calling sets a new standard for mobile communication, and our new Retina display is the highest resolution display ever in a phone, with text looking like it does on a fine printed page. We have been dreaming about both of these breakthroughs for decades." Jobs boasted that the new iPhone is beyond any consumer product that's ever been seen, only 9.3mm thick and 24 percent thinner than the iPhone 3GS, making it the "thinnest smartphone on the planet." 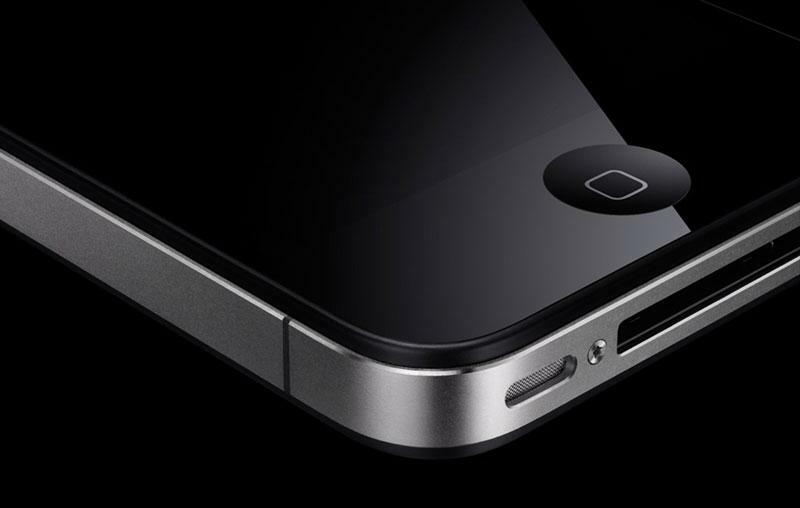 Jobs said that the structure of the phone is now connected to the antennas, improving the reception of the iPhone with its stainless steel border. "I don't think there's another consumer product like this," Jobs said. "When you hold this in your hands, it's unbelievable." 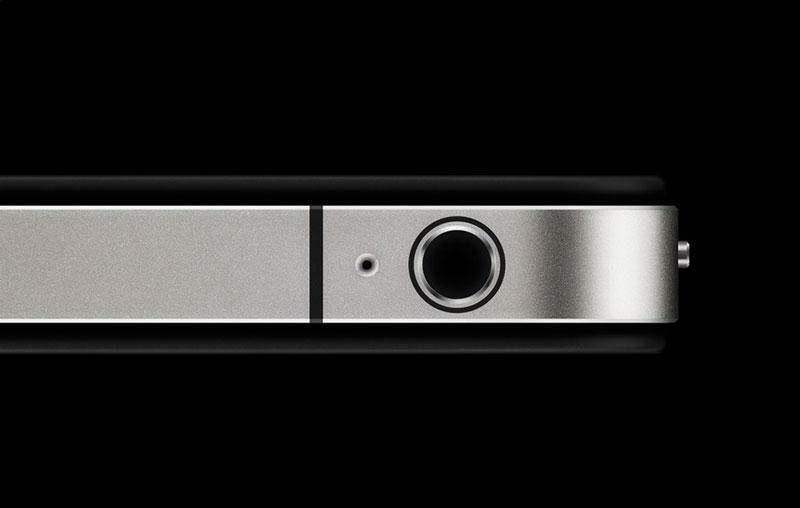 Created from a unique alloy, then forged to be five times stronger than standard steel, the CNC-machined band is the mounting point for all the components of iPhone 4. The band provides impressive structural rigidity and allows for its thin, refined design. 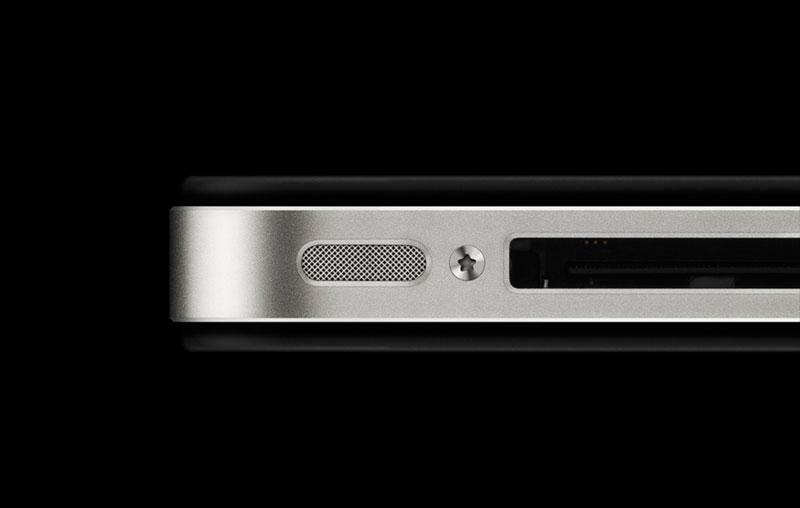 It also functions as both iPhone 4 antennas. As revealed in the prototype device obtained months ago, the hardware has an LED camera flash, a micro-SIM slot, and new flat back and front. The front and back are made of aluminosilcate glass, chemically strengthened to be 30 times harder than plastic, more scratch resistant and more durable than ever. 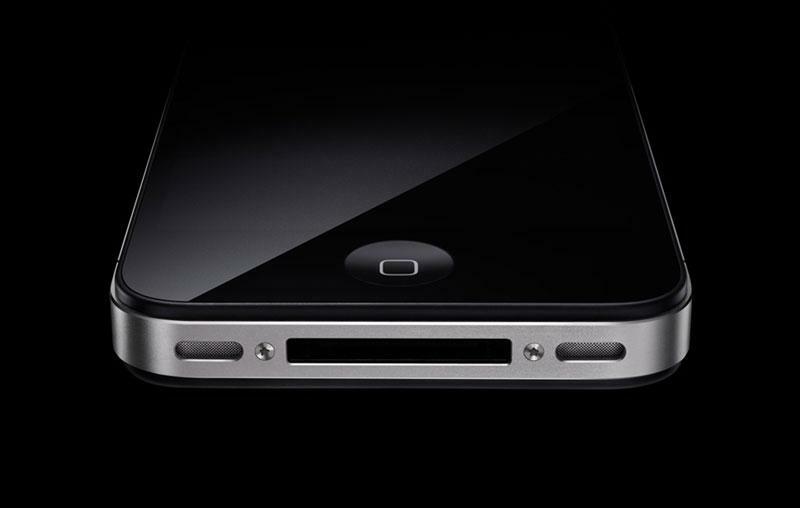 The front and back glass have an oil-resistant coating that helps keep it clean, and encircling iPhone 4 is a highly finished stainless steel band made of a custom alloy that is forged to be five times stronger than standard steel. The new device also has four times as many pixels in the same amount of space, providing for sharper text and more accurate colors through what Apple has dubbed "retina display." The new device has a display with 326 pixels per inch, beyond the display capabilities of the human retina, Jobs said. "Once you use a Retina Display, you can't go back," he said. Network issues prevented Jobs from showing the website for The New York Times to demonstrate the display, but he did display new photos from the device. When Jobs turned to Scott Forstall, senior vice president for iPhone software, for ideas, someone in the audience suggested they try the Verizon network. The new display is 960 by 640 pixels, with an 800-to-1 contrast ratio. Like the iPad, it also has an LCD screen with IPS technology for superior viewing angles. Jobs said IPS is a better option than OLED. "We think this is going to set the standard for the next several years," Jobs said. The new hardware also has a larger battery that offers longer uptime, including 7 hours of talk time 3G, 6 hours of 3G browsing, 10 hours of Wi-Fi browsing, 10 hours of video, 40 hours of music, and 300 hours of standby. 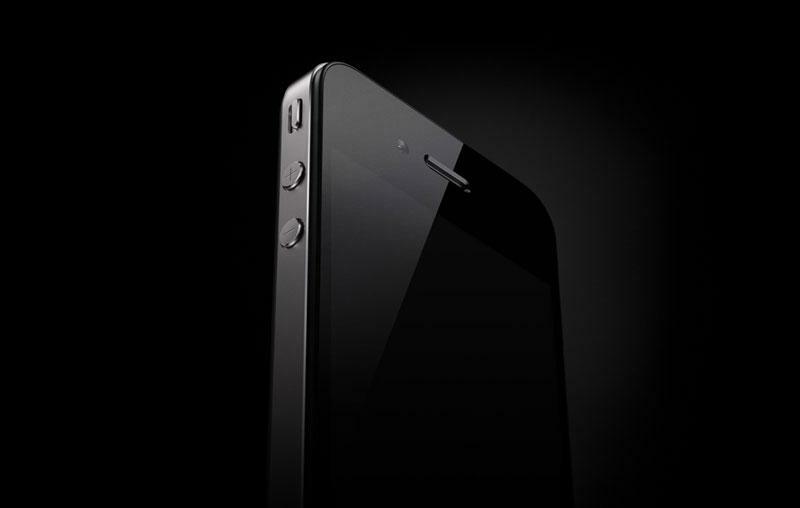 A new two-axis gyroscope, combined with the iPhone's accelerometer, will offer "much more precise movement," Jobs said. He demonstrated it by showing a Jenga-style application with a stack of wood in a 3D space, and turning had the image adjust accordingly. The hardware also has the A4 processor found in the iPad, and has a second microphone for noise canceling. 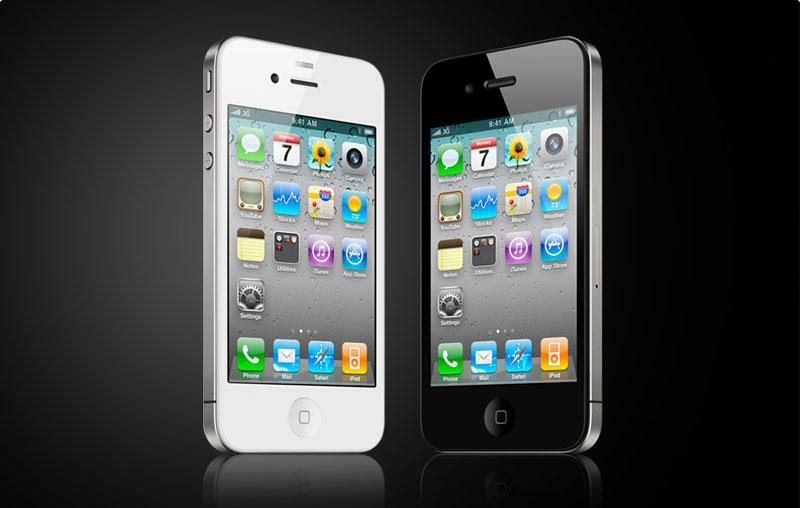 The iPhone 4 also includes a whole-new camera system that includes LED flash with a 5 megapixel lens that records HD video. The new rear camera will record 720p video at 30 frames per second. Users can also use built-in video editing to trim their HD clips right on the phone. The handset's forward facing camera can be used for video chat with the application FaceTime, allowing users to see someone using another iPhone 4 as they talk to them. Videos can also be edited using the new iMovie application, which will cost $4.99 on the App Store. 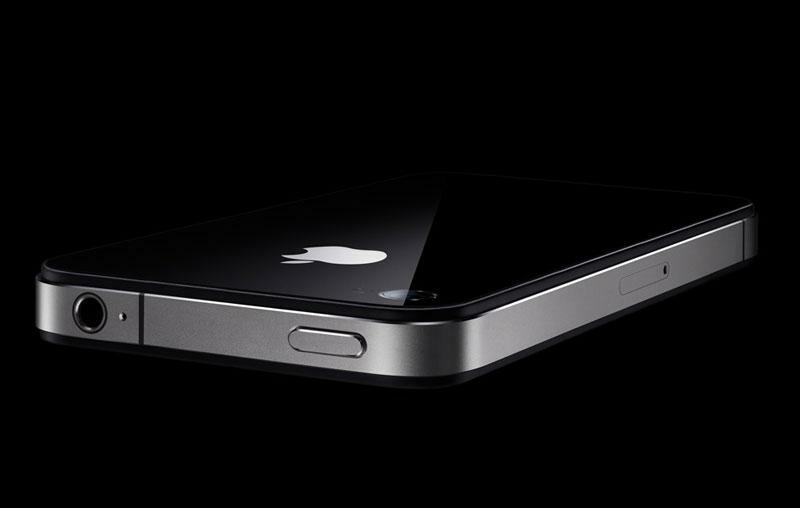 Apple will release its first official case for its handset with the iPhone 4. Called a "bumper," it will cover the stainless steel perimeter of the handset and is available in six colors, including white and black to match the options on the device itself. The bumper costs $29. 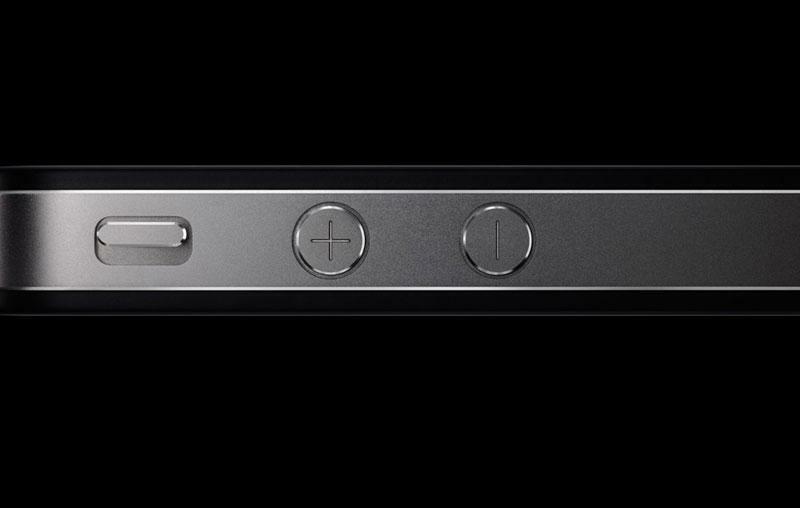 Apple will also have a new dock to match the new iPhone 4 hardware. It will also cost $29.